If you want a hassle free start to your journey, join over 20,000 people who compare and book their airport parking with us each year. Why should I book airport parking in advance? Find out how easy it is - Call us on 0871 360 2469 or check prices & availability by entering your details in the form to the top of this page. 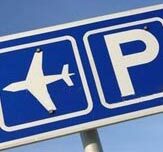 Here are some quick links to our most popular airport parking pages. Choosing Gatwick car parking can be a difficult task considering the number of parking options and Gatwick car parks available. We have seven options for Gatwick Parking and a number of Gatwick Hotels. Heathrow Airport is the largest and busiest airport in the UK. It is second in the world in terms of total passenger traffic and it handles more international passengers than any other airport in the world. With Heathrow parking, the gate price for 8 days parking at Pink Elephant is £122, our price starts from £68.00. Are looking for car parking at Stansted airport? As with other airports we offer Stansted parking on and off site plus valet chauffeur services. Manchester Airport is the busiest in terms of passenger traffic outside of London. Therefore it is essential you choose the best services and book in advance. 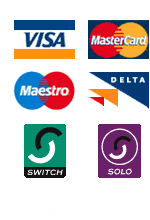 We can save you hassle with our easy booking method whilst still providing the best services. Click here for Manchester airport parking . How can we improve Airport parking.tv? The House of Commons is expected to rise for what could be a record summer recess on July 13. In previous years the recess has not begun until almost the end of July. MPs will cite the tight road restrictions around the Palace of Westminster in the run-up to the Games for the move, arguing that they will make travel to and from Parliament difficult. But the planned early break is likely to provoke public dismay, as ordinary workers will still face a difficult commute in and out of central London during that period. The Olympics will begin on July 27 and run until Aug 12, making the supposed need for an early departure for MPs all the more puzzling. The Prime Minister is likely to insist that MPs come back to the Commons in early September to assuage public anger. Even if they do return then, it still amounts to a break of around eight weeks. MPs are currently enjoying a two-week Whitsun break.